Uberti is pleased to introduce a new line of single-action army revolvers called the Horseman series. 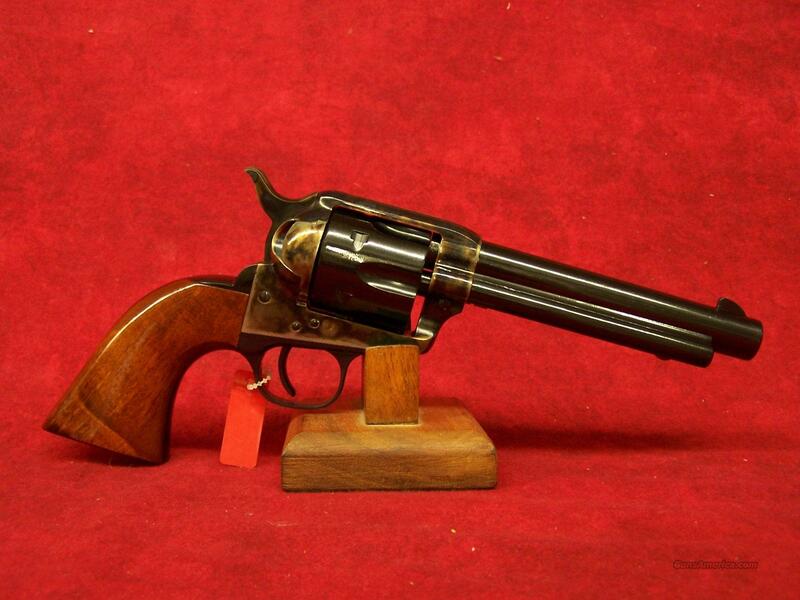 These are Colt 1873 replicas that incorporate a modern transfer-bar safety system. The fit, feel and finish of the Horseman is similar to the old west models, but with improvements that make the gun stronger and easier to handle. The transfer-bar combined with a coil main spring provides durability and reliability that the cowboys of yesteryear would love to have had. The Horseman embodies other upgraded features; including a wider trigger, and a smoother, crisper trigger pull. There are other single-action revolvers with transfer-bar safeties on the market, but the Uberti 1873 Horseman is the only one with the classic look and feel of the original 1873 Colt Single-Action Army.